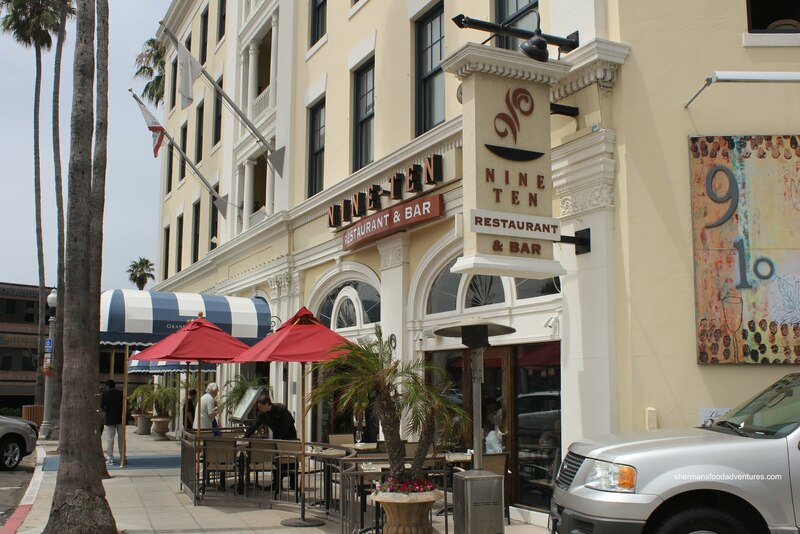 When I got word that Nine Ten was one of the best fine-dining establishments in San Diego, it was definitely on my list of eats during our visit. However, there was one big problem. We had the kiddies with us and the menu didn't look exactly that kid-friendly. So, I basically settled on the fact we were going to eat at Smashburger down the street instead on our visit to La Jolla. Wait. 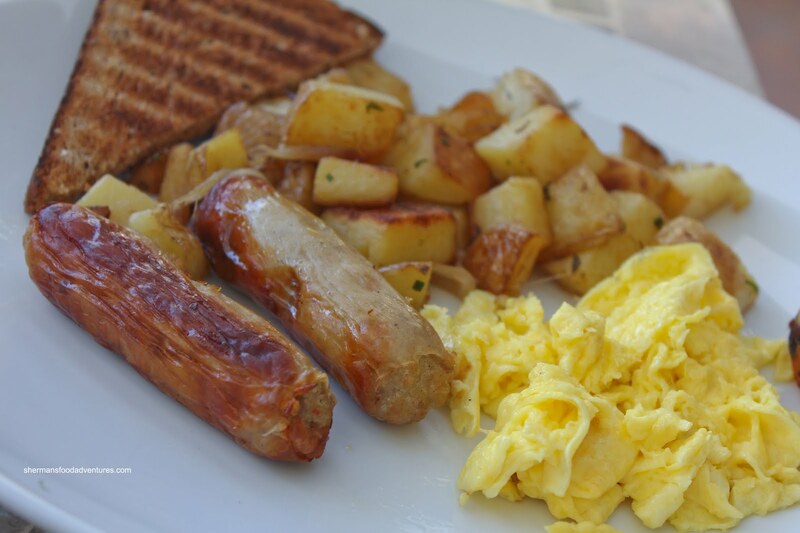 We could go for Sunday brunch! It is a hotel restaurant after all. I'm sure they've seen their fair share of kids despite not really being a kid-hospitable establishment. Besides, there would be something on the menu for the kids. Yes, I do realize that brunch would not be the best way to experience the restaurant; but we'd have to make due. After all, this way, we could still get a taste of what the restaurant is all about. Another good thing about the place is that they accept Opentable reservations. Score! We were so tired of lining up and eating at unholy hours to avoid the crowds at other establishments. As we drove by The Cottage (and their crazy lineup), it further reminded us how great reservations were. Walking into the Grande Colonial Hotel, where Nine Ten is loca ted, there was an air of sophistication. I wouldn't call it necessarily pretentiousness though. Just classy. We opted for the patio seating which gave us an obstructed view of the ocean and all the ocean breeze we could take. Since the whole reason why we were here for brunch was due to the kiddies, we got them the standard Two Eggs with Sausage. They were nice enough to split the order into 2 plates which almost worked out to 2 complete breakfast portions. I'm not sure if the breakfast was supposed to have 4 sausages; but the kids got 2 e ach. The sausages were big and meaty while having a nice bounce texture and snap from the casing. We found the scrambled eggs to be done pretty well being fluffy and not overcooked. The hashbrowns were not exactly crispy; but they were potatoey and soft. The one black mark, literally and figuratively, was the toast. It was burnt on one side which was the side that wasn't facing up. 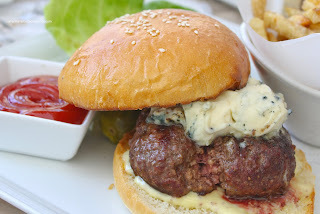 For me, I had a tough time deciding between the hanger steak and the Nine-Ten Burger. I asked our server and she swayed me over to the burger which was a half pound angus beef patty with house made pickles, butter lettuce, tomato and mus tard aioli. I added blue cheese for good measure. I was asked how I liked my meat done and I went for medium. And as you can clearly see, it was perfectly cooked with just a touch of bloodiness. That, for me is delicious. The patty was moist, juicy and very meaty tasting. Combined with the blue cheese, there was some good flavours at work. 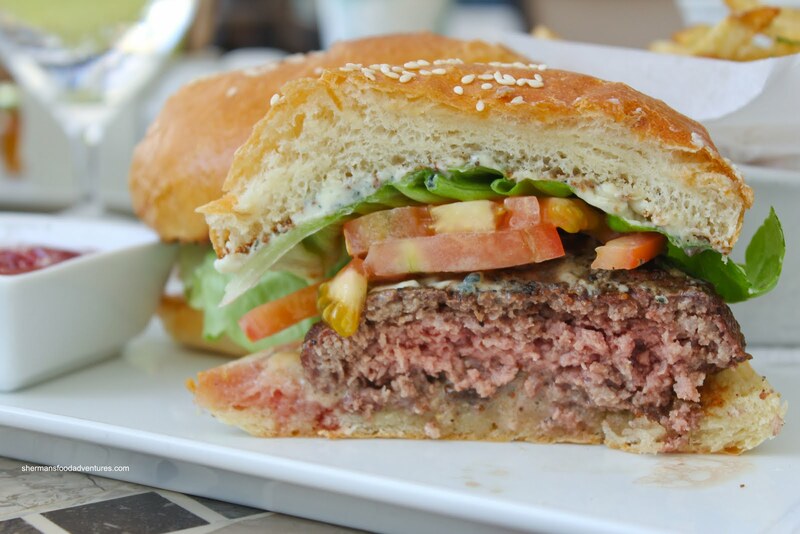 The crisp butter lettuce, fresh tomatoes and crunchy pickles made this a good burger. Simple; yet executed perfectly. 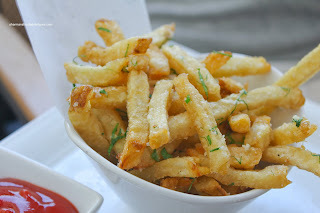 On the side were some of the best Truffle Fries I've ever had. The truffle hit me like a veritable softball in the face. Earthiness galore, I tho ught I was licking the ground in the forest (not sure if that is a good analogy). Add a bit of salty Parmesan and these crispy frites needed no other seasoning or dip. Outstanding. 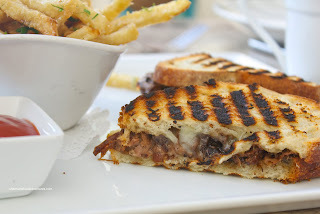 Viv ended up with the Short Rib Panini consisting of port wine braised beef, aged cheddar, onion marmalade. Although the short rib was super tender and possessed considerable depth of meat and wine flavour, it was the onion marmalade that stole the show. Sweet, oniony and thick, this was the glue that held everything together. Literally, it did hold everything together as well as provide the bridge between savoury and swee t. This was a really good sandwich. Viv devoured it quite quickly. 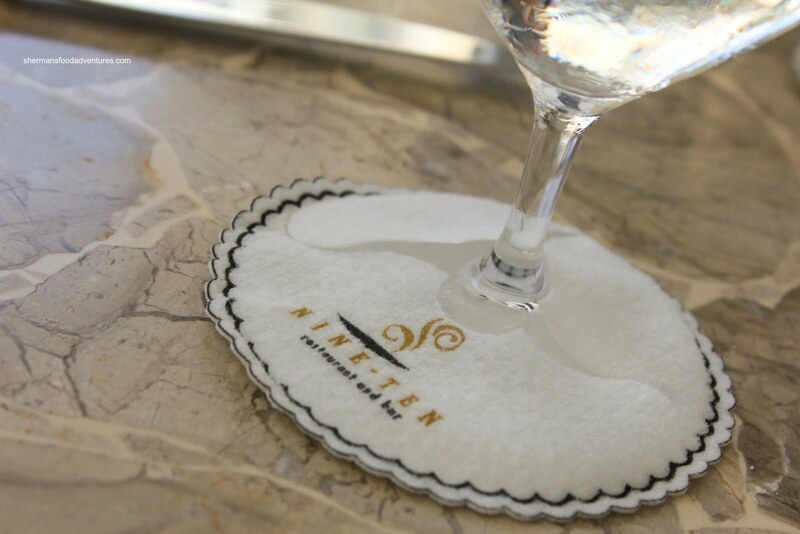 So despite the fact we didn't get to try their dinner service, our brunch at Nine Ten was sufficiently pleasant enough to demonstrate the possibilities. We loved the setting of the restaurant in the hotel and the service we received was solid. 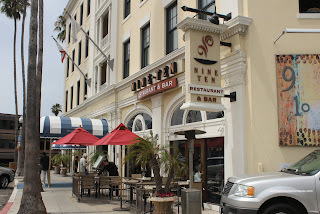 I guess if I'm ever in San Diego again, dinner is definitely on my list. Hi Sherman,I read your blog every day, have done so for a couple of years now, I love your dedication to food! Love it! I have a question that I have wanted to ask you for a LONG time...how do you eat in restaurants every day and not weigh 500 lbs? Is it the hockey thing? Exercising, practicing or playing every day - I am seriously curious! Hi Sherman, I read your blog every day from Tokyo! You're the Tim Allen of food bloggers!! Of course when I was home in Vancouver this summer, I was too busy to read... or to try out any of your recs LOL. I also have the original picky eater son (yup, the mac/cheese and noodle guy) He's 12 now and it's amazing he actually eats variety and VOLUME! If you ever plan a family visit to Japan, be sure to let me know. I can help you put together a great-restaurant-near-kiddie-attraction guide! @Chaki awww... thanks! :) Sure, I will take you up on that offer!